This beautifully illustrated cookbook contains a delicious selection of easy-to-follow one-pot recipes. With a mouth-watering 1001 dishes to choose from, you're spoilt for choice, whether you're rustling up a simple soup for lunch, or preparing a three-course dinner party for friends. 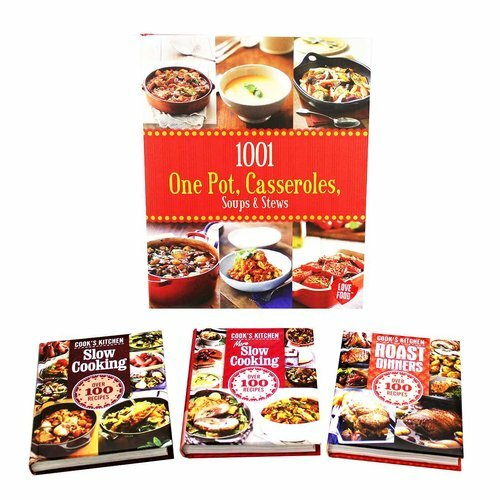 As well as the simple-to-follow recipes, 1001 One Pot, Casseroles, Soups & Stews also contains useful advice on equipment, cooking techniques and essential store--cupboard ingredients. This book will quickly become an indispensable companion to any busy cook.